Abstract: Office lighting luminaires are being designed to harmonize function and appearance by blending in with the architecture. LED office lighting fixtures create a balance of energy efficiency, high visual comfort, streamlined aesthetics, and affordability. Lighting is an activity or a function to brighten a specific space by making use of various kinds of light sources with a particular application. The primary purpose of lighting in the office space is to support work and promote the working experience by offering a comfortable, attractive environment for the office staff. Lighting is a critical element of the interior design which could enhance or degrade the work experience and impact the well-being of the workers. Lighting can have an impact on behavior, satisfaction, enthusiasm, psychological responses to a space and task performance, organizational commitment, communication and interest, visual comfort, safety and security, while defining space and architecture. Office work is visually demanding and requires high quality lighting to increase productivity, improve comfort, and prevent eyestrain. An office needs to be designed with comfort and productivity in mind, incorporating lighting that reflects the tasks at hand. Visual discomfort has been established to interfere with employee's job performance and overall productivity. Appropriate office lighting has been confirmed to increase creativity potential. Professional office lighting design means delivering adequate illumination in specific areas so people can see printed, handwritten or displayed documents clearly, whilst not over illuminating areas where computer work is performed. Higher visual acuity as a result of optimal office lighting conditions contributes to better performance and/or lower levels of eye strain. Beyond supporting worker performance, a visually comforting environment reinforces the corporate image. Office lighting requirements have fundamentally evolved and technical advancements offer users unprecedented possibilities, e.g. in terms of visual comfort, energy efficiency, control and design. Office lighting plans are required to be cohesive and effectively illuminate diverse varieties of of spaces that exist together under one roof. Office lighting design must encompass lighting solutions for specific areas, which includes open-plan spaces with a multitude of cell offices, private offices, conference rooms, meeting rooms, videoconference rooms, sample display rooms, drafting and graphic production rooms, reception areas, files, restrooms, public areas, hallways, cafeterias, auditoriums, support spaces, plants (vegetation), and emergency lighting. Office lighting must integrate and balance ambient, task, accent, and decorative lighting into each area of the office. Open-plan offices are a world on their own, accommodating sizable numbers of occupants, needing to meet the requirements of individual workers and simultaneously creating positive and motivating overall atmospheres. 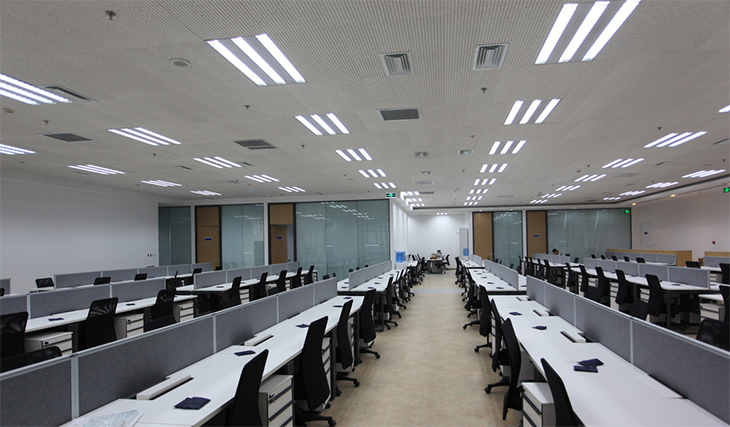 Lighting requirements in offices are extremely diversified and expectations are high. The term "lighting quality" is the integration of human needs, architecture, and economics and the environment. Quality, flexibility and efficiency are the key design considerations for office lighting. Achieving quality lighting goes beyond merely specifying the illuminance level necessary for a specific task to be visible. Design issues most notably glare, shadows, brightness, light patterns, light distribution, luminance contrast, flicker, and color appearance may all affect the office worker's visual comfort, social interactions, aesthetic perceptions, team engagement, environmental and job satisfaction, organizational commitment, and task performance. Light loss factors, specific room reflectances, and other design criteria should be employed to fine-tune lighting calculations. Office lighting must accommodate many different human needs. 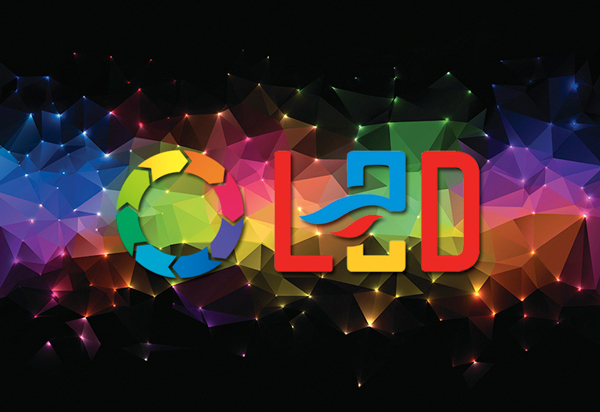 Two organically connected application considerations exist with respect to color and light sources: the chromaticity (correlated color temperature, or CCT) and the color rendering properties (color rendering index, or CR)of the source. Chromaticity describes the color appearance of the light emitting from the lighting source itself and is the absolute temperature of a blackbody whose chromaticity closely resembles that of the light source. The color temperature observed visually affects the aesthetics of different objects. The color characteristics of lamps (chromaticity and color rendering) will influence the visual impression and impact of colors used in a space. Quality artificial lighting attempts to replicate the characteristics of natural light. CCT is designed to characterize the apparent "tint" of the illumination (e.g., warm or cool) produced by a luminaire. Color temperature is a characteristic of visible light which has important applications in lighting. Lower color temperatures generally indicate white light which includes a more significant red component or a "warmer feel," whereas higher color temperatures generally denote white light possessing a more significant blue component or a "cooler feel." Color reproduction is frequently measured using CRI or average color rendering index (CRI Ra). CRI and CRI Ra are developed to define how closely an artificial light source matches the color rendering of a natural light source at the same correlated color temperature. In general, the higher the CRI of a light source, the more vibrant the color appearance of an object will be. For general office lighting, a CRI of a minimum of 80 is recommended. Where color discrimination is important, light sources with a CRI of 90 or greater should be employed. The comfort of illumination is assessed by a process of evaluating presence of glare in line with the factors. Glare occurs when luminances, or luminance ratios, are exorbitant in relation to the state of adaptation. Glare may be attributed to light cast to the eye straight from a light source (direct glare), or indirectly from a reflective surface (reflected glare). Glare is disturbing in an office environment, as it may obscure the image on a computer monitor and can also induce physical discomfort. The consequences of glare could possibly be disability (an injury in visual capabilities), or discomfort (without necessarily compromising the ability to see). The degree of glare is typically reflected by either of this model: the Visual Comfort Probability (VCP) model, or the Unified Glare Rating (UGR) model. VCP is a glare rating system used in North America. Most of the world outside North America uses UGR to evaluate discomfort from glare. A UGR of 19 is recommended in offices while industrial areas intended for coarse work a UGR of 28 can tolerated. In the United States, office lighting fixturess are required to have a VCP of 80 or greater (i.e., acceptable glare sensations in 80% of the population). To avoid discomfort glare, luminances at higher angles should be less than 8,000 cd/sqm, regardless of whether from exposed light sources or luminaire surfaces such as lenses, diffusers, louvers or reflectors visible to the people in the room. 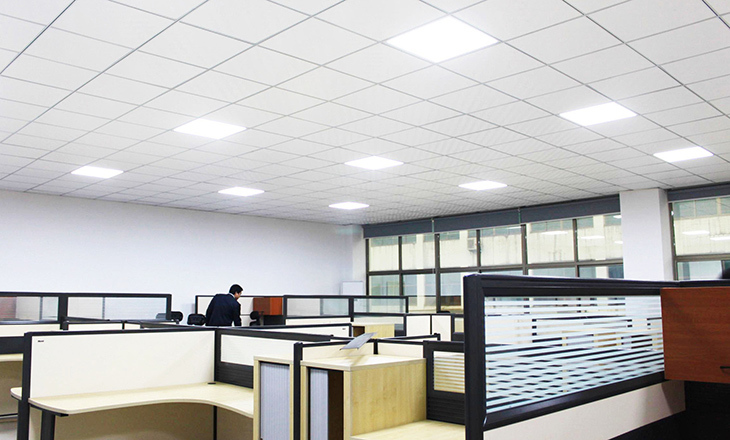 Lighting in offices is generally provided as a combination of different types of lighting systems. 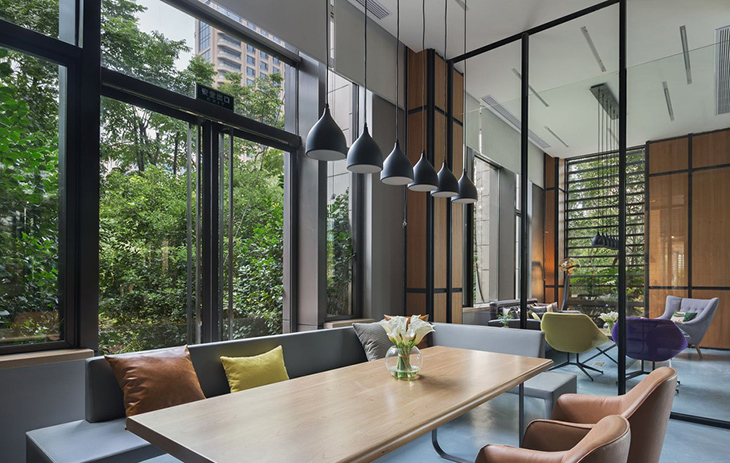 Luminaires for office lighting can be categorized by type into ambient or general lighting fixtures, task lighting fixtures for improving localized higher light levels, and accent lighting fixtures for aesthetic interest and visual relief. Direct, indirect, and direct/indirect fixtures allow a number of options for general office lighting design. Direct lighting typically casts a beam in wide angles and can make the work plane the brightest surface in the space. Direct lighting fixtures are usually luminaires mounted overhead in the ceiling or on pendants. Indirect lighting illuminates the ceiling, which then reflects light downwards. As a result, the ceiling gets to be the brightest surface at the observer's sight. Many people consider this type of lighting more comfortable than direct lighting because indirect lighting makes a space feel stereoscopically bright and rarely creates shadows. Direct/indirect lighting combines both downward and upward light distributions, which overcome the shortcomings of each individual lighting technique. Direct/indirect systems in addition provide flexibility in maximizing luminaire spacing distance, making it possible for reduced energy consumption while achieving homogeneous lighting at the work level. An ambient or general lighting system in some applications is supplemented with localized task lighting and accent lighting. Office tasks involves reading, writing and intermittent oral communication. Integrated ambient and task lighting systems are very effective in office settings considering that the ambient illumination delivers an impression of spaciousness, balances daylight, and supports the sense of visual clarity. The application of task and accent lighting will reinforce the perception of a relaxed atmosphere, give visual comfort and help reduce fatigue. Task lighting fixtures have a very flexible installation and may be built into the workstation, mounted on partitions, attached to work surfaces, or simply placed on the desktop. 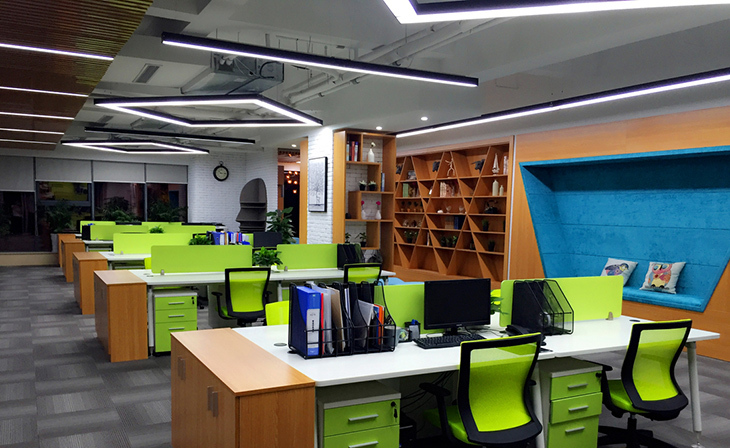 The selection of office lighting fixtures depends upon a number of factors; color requirements (CCT and CRI), switching/ dimming requirements, light control, maintenance schedule, lamp life, start-up time, and most importantly, the photometric distribution of the light source and lighting fixture combination. New technology has changed indoor lighting with the introduction of new light sources and control techniques. The energy efficiency is also an important working point to cut energy costs while achieving uniform lighting. Recent trends have made it a market-driven adoption to replace energy-inefficient incandescent and fluorescent lamps with more energy-efficient light emitting diode (LED) luminaires. 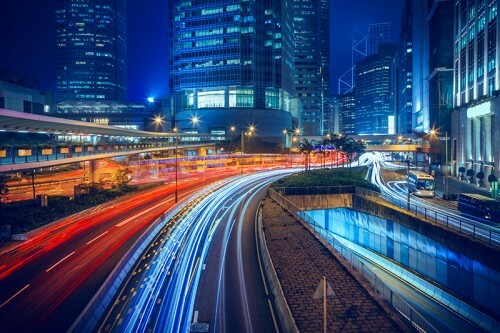 The architectural lighting applications for LED lighting fixtures have witnessed rapid growth as improvements in luminous efficacy and chromaticity, making them into viable options for many applications. 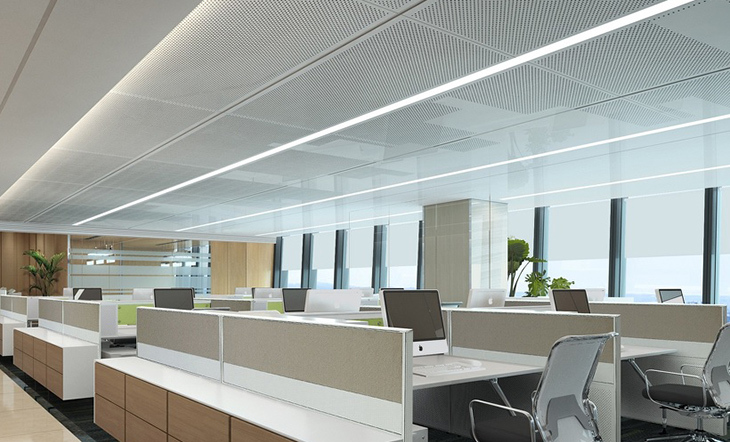 LED lamps in linear, recessed and suspended versions bring superb ambient, direct and indirect lighting into the workplace - along with the added bonus of energy efficiency, long lifespan, improved robustness, fast switching, easy maintenance, and excellent durability and reliability. LED Troffers - Troffer-style fixtures are ubiquitous in offices and commercial buildings throughout the world. A troffer is a recessed rectangular light fixture configured to fit into a modular dropped ceiling grid. There're three types of troffers: prismatic, parabolic, and volumetric. Lighting fixtures in the 2x2 foot and 2x4 foot sizes have for many years been illuminated using linear fluorescent lamps (such as T12, T8 or T5 tubes). A prismatic troffer is a fixture recessed inside the fixture with a lens covering the face of the fixture. A parabolic troffer uses parabolic reflectors to provide a desired light distribution, with no lens covering the fixture. A volumetric troffer includes lamps inside of specially designed reflectors and lenses. Designed as an energy efficient alternative to traditional fluorescent troffers in T-bar grid (drop ceilings), LED troffers offer superior light output, improved visual appearance and it is fully dimmable and virtually maintenance-free. The highly efficient LED system with cutting-edge optical design delivers optimal light uniformity, contributing to soft, natural light for superior visual comfort. Edge-lit LED Panel Lights - Preference for recessed luminaires in commercial lighting has moved toward a distinctive type of high performance recessed fixture that reflects light internally by taking advantage of special optics to create soft lighting effects with high levels of uniform brightness. Edge-lit LED panels are becoming an ever more preferred technology used in office lighting. LED panel lights offer a high performance optic system, sophisticated light distribution and architectural styling that deliver exceptional value and quality. In an edge-lit panel, a plurality of SMD LEDs are positioned adjacent one or more of the edges of a light guide panel (LGP). Light emitted the LEDs enters the edges of the LGP and is re-directed within the LGP so that the light can be guided from the front face of the LGP. The diffusely scattered and mixed light is emitted across the total surface of the diffuser as uniformly as possible. LED by its directionality nature creates a point source of light that can be irritating or detrimental to our eyes. The edge-lit mechanism addresses this concern and achieves a fixture which creates a light output that appears consistent to the human eye across the diffuser panel. The design of architectural surfaces increasingly includes light features for decorative or functional purposes. 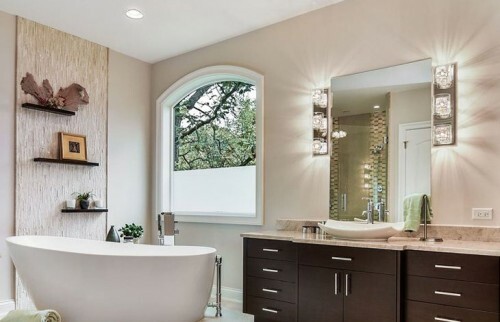 Among the many advantages of edge-lit panels is that they allow the lighting fixture to be very thin. Plus the clean and modern look edge-lit LED panels are a unique and an ideal lighting solution for offices where the fixture installation is typically made in grid ceilings, drywall recessed, surface or suspended applications. Linear Trunking Systems - While adequate lighting quality may be accomplished through a professional application of lighting products, in an attempt to achieve a high level of quality, the architectural space will need to have a sensation of visual appeal. Linear lighting fixtures express a seamless synthesis of aesthetics, performance and energy efficiency. LED linear trunking systems employs specialized rails which integrate all the components and form a trunking system. All functions and features such as power supply, lighting control and connection to emergency lighting can be seamlessly integrated into this multifunctional trunking. Pre-assembled rail connectors allow the rapid assembly of trunking rails, and the X, L and T shaped connectors offer more design flexibilities when choosing trunking configurations. With fully compatible modular kit, the trunking lighting fixture adapts individually to complex lighting tasks. LED linear trunking lights are available in suspended, surface-mounted and recessed versions. The luminaires are also available in various photometric features, such as distributing light directly down, or indirectly by reflecting off the ceiling, or a combination (direct/indirect) of these two methods. As the perfect alternative to traditional linear and fluorescent tubes in the market, LED linear trunking systems, due to their streamlined illumination, aesthetical continuity and integrated control functions, are an energy-efficient, low maintenance alternative to traditional linear fluorescent in lighting applications for large open-plan office. LED Low Bay Lights - The need for local lighting in low ambient environment has led to the development of a variety of low-bay luminaries. In fact, this type of luminaire is the most neglected product in the lighting manufacturing industry but one of the most popular elements preferred by lighting designers. LED low bay lighting fixtures combines industrial aesthetics, artistic beauty, contemporary style and modern technology. Designed to provide a high luminosity with low levels of glare for 10-20 foot ((3-6 meter) ceiling heights, these pendant provides superior performance, dimming capability, and energy efficiency.